This software is very sophisticated and gives a lot of control and possibilities to run a mill. No Arduino is necessary for this, but a parallel port. 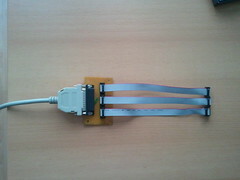 To get running this, I made a Reprap Stepper Motor Driver v1.2 parallel port adapter with KiCad. As soon as possible I will describe it in detail and will attach all files. I like to see the contraptor based on a broader (and open source) software base, like linux. And your board seems to be a cheap alternative to all the arduino-electronics and drivers, which makes it more attractive for beginners. Thank you Oliver. I guess all that software around Arduino even the python scripts and the firmware are open source too and can be run on each operating system. Thats there advantage over EMC. But EMC is able to work as a live-CD so that no installation is necessary. 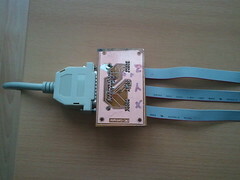 It's right, that modern computers lack more and more a parallel port. At EMC there are some attempts to get it running with USB, but this seems to be a hard challenge, because USB doesn't support real time support. I'm glad to have a parallel port on a fairly modern PC. And my next PC will have one also. For me the overwhelming advantages of EMC are more valuable than using the Arduino board (I like it very much) and the software around it. The existing software is sensed too restricted for me compared to EMC, I don't have the skills to improve it and I don't see a consistent, tactical development for this software. So let's see it as two ways to use CNC-machines now, depending what you prefer for yourself. This is cool. Do you have the pic of the actual board and/or video of it in action? During the forthcoming holidays I will add some pics, maybe videos and descriptions. All in all it's quite easy to get it run with EMC. Until that have a look at Configuring a L297 Board Reprap Stepper v1.2 on linuxcnc.org. Today I got all the files finished to show you, how I got the Contraptor Mini-CNC running with the Enhanced Machine Controller - EMC. and the green pins are grounded at 0 Volt. 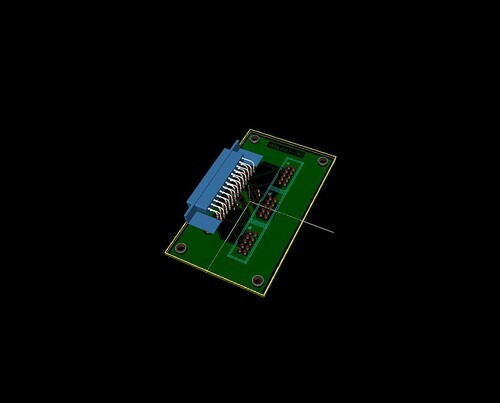 Here is a table showing you how I connected the parallel port pins to the pins of the Reprap Stepper Motor Driver v1.2 (only the connected pins). The pins are mirrored because this is for a male connector. Here is a picture of the PCB. I used the Toner-Transfer-Method. 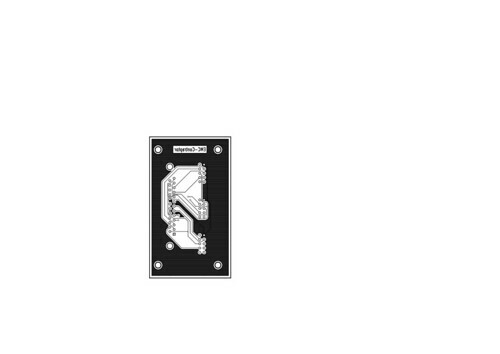 Here is the PCB you can use for it. 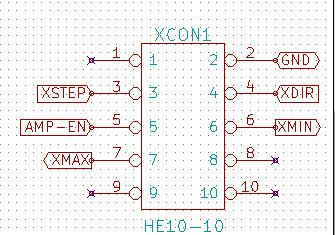 I will explain it more detailled when uploading the KiCad files. And here is a video, which gives you an idea, how to run the Mini-CNC with EMC2. This looks like a good alternative to the arduino controls. Very helpful video; I'm wondering why it was not possible to run the GCode - it looks like the "exceeded dimensions" error is really a warning as it allows to proceed anyway? 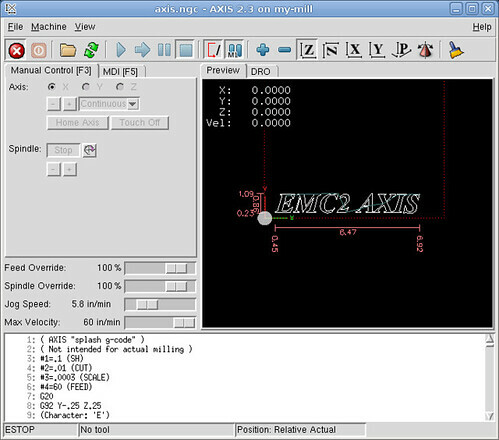 And now I found an interesting guidance for CNC milling/drilling of PCB using KiCad and EMC2. Also PCB Milling at RepRap is interesting.